Two beautiful Dutch-inspired properties that sit facing a private beachfront moving onto the Indian Ocean, Villa Sunbird is a sanctuary for travellers who are looking for a respite from busy city lives. With six bedrooms, four of which face the ocean along with the catamarans that are out on the water, the villas are ideal for larger groups as well. 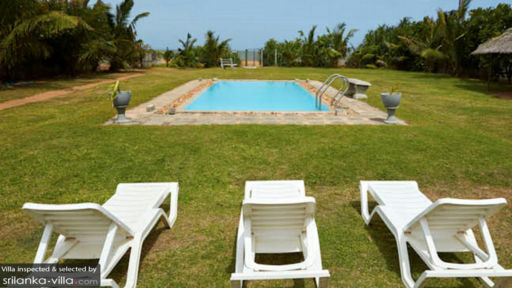 There are several recreational facilities on offer including a swimming pool, access to the beach, etc. Get set for an amazing adventure in Sri Lanka, where you can drive down to Colombo or relax in this gorgeous secluded spot beside the beach! Villa Sunbird comprises two individual villas that can be rented together or individually based on preference. There are six bedrooms in total at the villas, making it all the more convenient for bigger groups of people. The bedrooms are designed with a traditional flair incorporating many Dutch elements along with Jaffna furniture. Antique writing desks, four-poster double beds, and an intricately-designed dresser are found in the bedrooms for the convenience of guests. In case you require additional bedding, it can be arranged as well as on availability. In one bedroom, the beds can be separated as twin-beds. En-suite bathrooms for each bedroom are fitted with excellent amenities and facilities with shower areas. The outdoors at Villa Sunbird are mostly occupied by the dazzling bejeweled ocean that rests in the distance along the sandy shores. Guests have access to the shoreline, as there are hardly any people around save for a few fishermen and locals. The villa itself houses a spectacular garden area with luscious, green grass manicured to perfection. The courtyards are flush with trees, benches, and a pleasant ambiance for relaxing with a book or with loved ones. The private swimming pool is another great spot to lounge around especially as you sunbathe on the sun chairs. 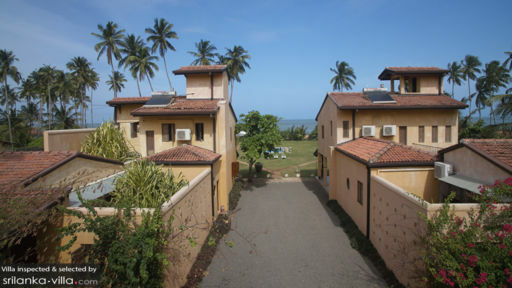 Villa Sunbird boasts of several places where everyone can relax and enjoy a good time together including two living area that are both open-plan to allow for the fresh ocean breeze to flood the corners. There is selective artwork in the whitewashed walls along with yellow columns keeping with the Dutch-theme. Antique furniture including coffee tables and armoires occupy the corners of these beautifully-designed spaces. During the daytime, the rooms are well-lit owing to ample sunlight that seeps into the living areas for an utterly comfortable space to retire to. Under a traditional roof, the villa has arranged a dining area with several two-seater dining table so that everyone can dine in comfort with ease. You can even request to join the tables for a lavish dinner with friends and family. The chef can prepare delicious local fares and serve it hot and fresh! The chef can prepare special dietary meals if required and guests can order what they wish to eat from an a la carte menu. The villa is fully-staffed and there is no shortage of services that are on offer for guests including airport transfers. Housekeeping and maintenance are taken care of by the staff as well. Boat rides, and bike rides are some of the activities that guests can engage in. 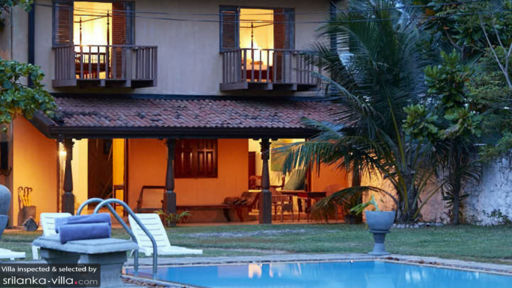 One hour drive from Villa sunbird will get you to the city of Colombo and a 15-minute drive can take you to Negombo, a pleasant place with ample shops, restaurants, and beachfront. You can choose to walk along the beaches to interact with fishermen and locals as well as to explore local living along the shoreline. There are many churches in the area that can be visited by travellers. We ended a two week holiday in SL with a few nights at fantastic Villa Sunbird. The architecture of the villa(s), the art, furniture and textiles were beautiful! Close to the airport and a good place to begin or end a visit. Very attentive staff and the food excellent! Nice walks along the beach watching fishermen at work, some bird spotting as well as a trip to the fish market and local churches (but mainly drinking tea and reading books). We stayed here (two families/ 5 kids) at the end of a three week trip and absolutely loved it! A beautiful house with loads of open space and tasteful interior. The staff were very welcoming, friendly and supportive with all our needs and requests. It was a home from home! There is a sweet small plunge pool perfect for our kids and enough for us to cool down in. The beauty of the place is really that its in a village and its a working beach. There are hardly any tourists and there is a lovely vibe when you walk at sunset along the beach and back through the village with every day life going on around. A lovely last Sri lankan experience. Thank you.